in Gauge on blankets is not essential to a proper fit. 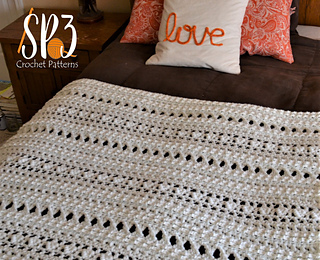 Follow the measurements given in the pattern and your final blanket size will be what you want. The Big & Comfy Blanket Collection is a beautiful plush set of blanket patterns. 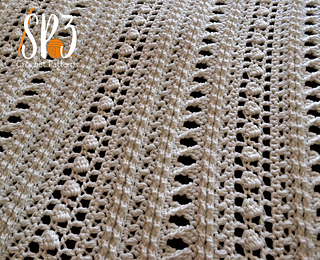 This listing is for the Equanimity Blanket Pattern. The Equanimity Blanket is made while holding 2 strands of yarn together. 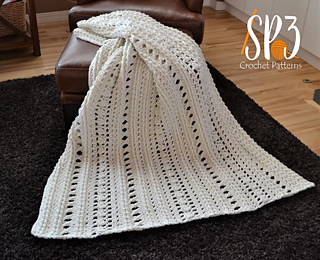 This creates a beautiful, bulky, plush blanket. The pattern is also unique because it is worked from side to side instead of bottom up. It is also designed to be borderless! This means when are done, you are done! No dreaded border to give your blanket a finished look.